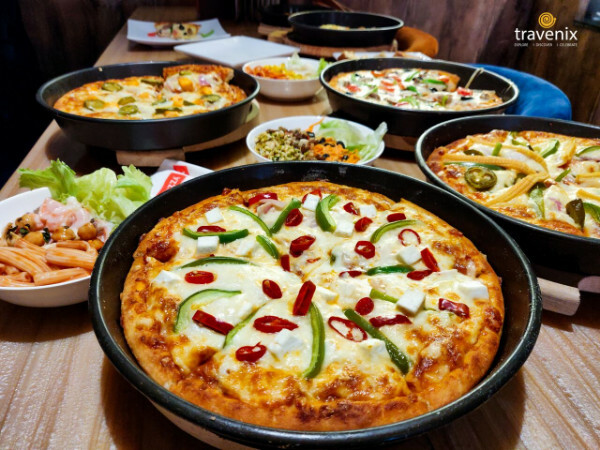 Sam’s Pizza in Malad offers you a chance to have unlimited pizzas and salads for affordable rates. They have a complete buffet on the offer where you can eat as much as you want without anyone or anything stopping you! Here’s your chance to have the finest of pizzas in town till your heart’s content. While all their pizzas are vegetarian, they are extremely popular among those who love non-veg food as well! This is a place where all foodies gather to have their favorite dish. 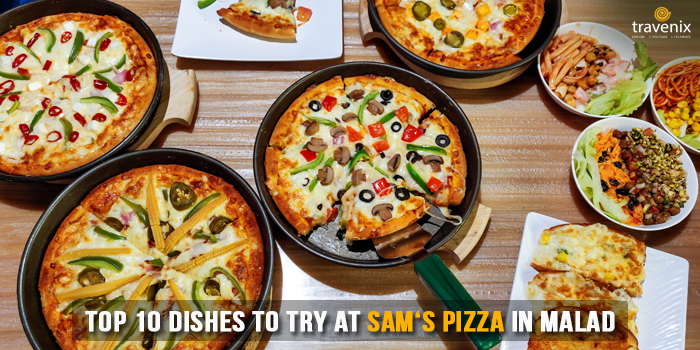 Let’s check out the finest dishes at Sam’s Pizza in Malad. As the name suggests, this dish is macaroni that is topped off with loads of cheese. The macaroni here is a combination of schezwan noodles, macaroni and cheese. 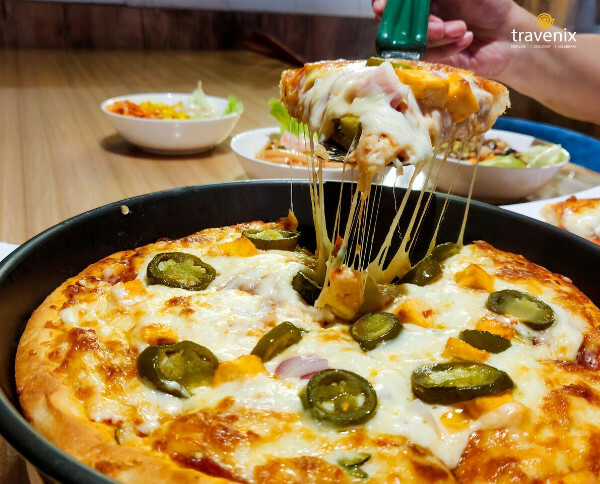 The melted cheese gives it the added cheesy flavor that is absolutely delightful to experience! This is a great way to start off your meal. The perfect starter for any meal, soups work extremely well because they improve your appetite and set you up for the perfect gastronomic experience. The soups at Sam’s Pizza are made to perfection. 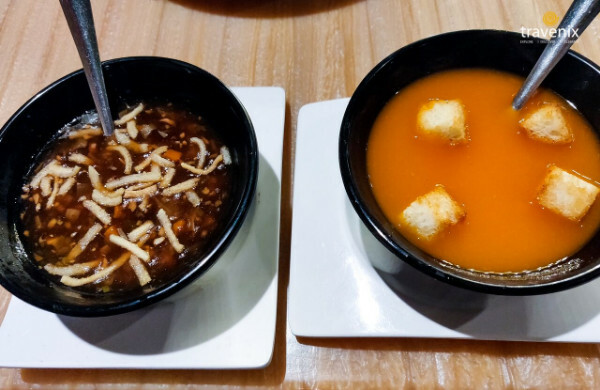 The Tomato Soup and the Manchow Soup are both served steaming hot and have distinct flavors of all ingredients. 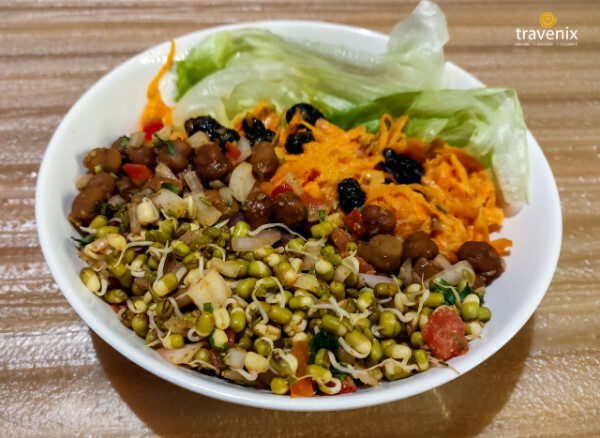 This healthy salad is made from freshly grated carrots, channa chaat, raisins and sprouts. 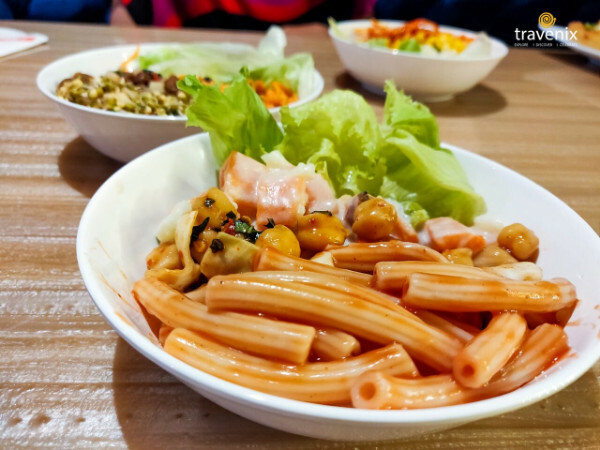 The salad is not just nutritious due to its ingredients but at the same time, it is even extremely delicious. You can get distinct flavors of each of the ingredients in the salad with each bite. This salad consists of long macaroni as a base. With this, loads of veggies are added to it such as boiled carrot, peas, lettuce and beans. Along with these veggies, pineapple and chickpeas are added for more flavor. 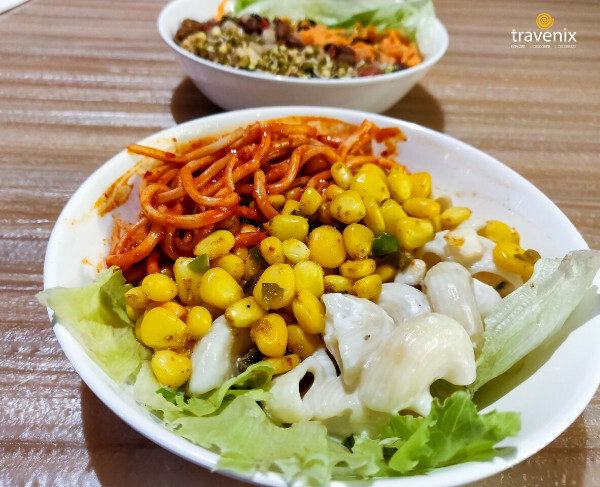 With each bite, there are tiny bursts of sour flavor due to the pineapple and it complements the other veggies perfectly to give you a great dining experience. 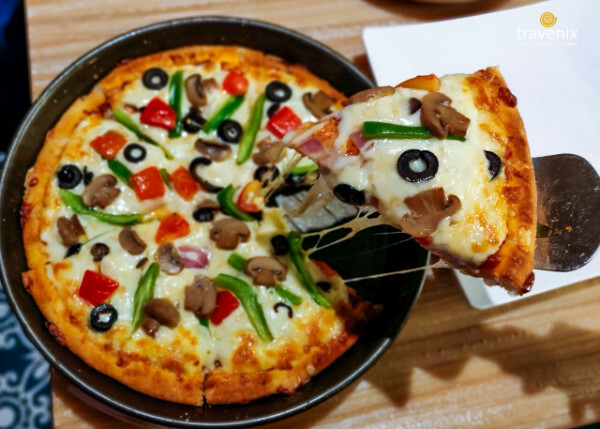 This pizza is an absolute delight for all pizza fans here. As the name itself suggests, this pizza comes loaded with veggies. It even has mushrooms along with the typical veggies like onions, tomatoes, olives, and bell peppers. It is served fresh and has loads of cheese toppings that make it a great dish. While this dish is low on toppings, it’s toppings are filled with flavors. The only two toppings on this pizza are red paprika and bell peppers which make this a dish for all spicy food lovers. The pizza is overloaded with cheese and you can find red paprika and green bell peppers standing out of this cheese. It is a great pizza to have along with the Veggie Delight. This pizza brings to you the spicy flavors of America. The soft crust of the pizza is generously topped with bell peppers, onions, jalapenos and loads of baby corns! It is then topped with loads of cheese that simply melts in your mouth on biting. This pizza is a complete flavor fest and is an extremely delightful dish to have. Yet another zesty pizza that brings to you the finest of spicy ingredients. 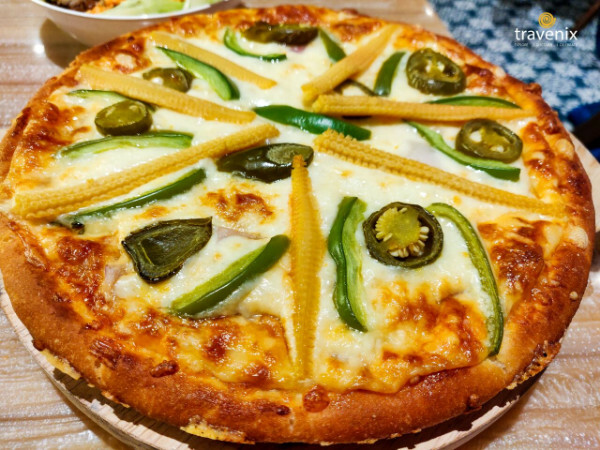 The pizza is topped with chilis, onions, paneer and jalapenos. This makes the dish slightly spicy but the soft paneer cubes make up for that with their neutral taste that reduces the spiciness quotient of the dish. However, this is a pizza that all paneer lovers will love to eat! What is pizza without garlic bread? The garlic breads at Sam’s Pizza come in a wide variety. The best bet is to get the entire platter. It consists of all the three garlic breads that are served here. 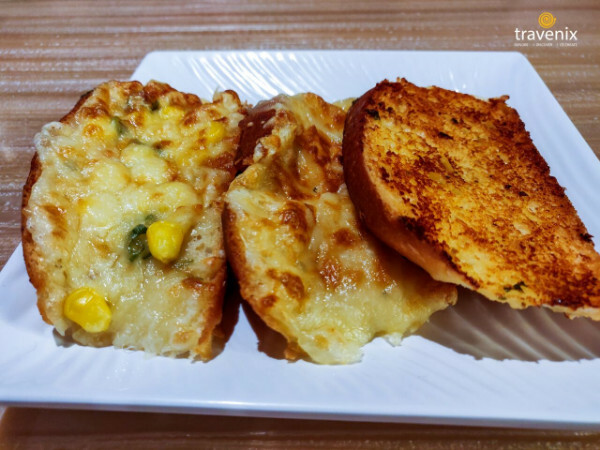 Sweet Corn Chili Cheese Garlic Bread, Chili Cheese Garlic Bread, and regular Garlic Bread are served in this platter. You can take turns to try out each one and enjoy their unique flavors. 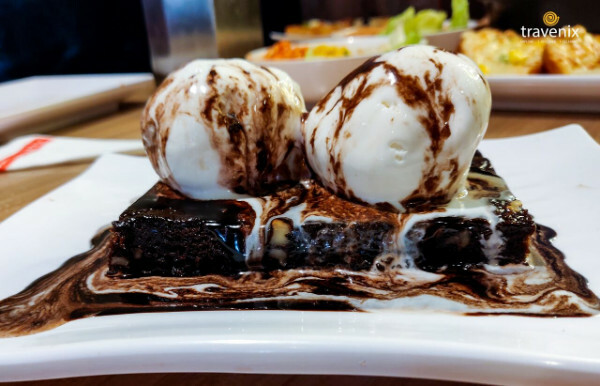 To finish off your pizza indulgence in style, you can have the Brownie With Ice Cream. The signature dessert of Sam’s Pizza. This dessert brings to you the best of hot and cold and you can have the soft and warm brownie with the melting ice cream to get a great feel!